I am a big fan of the Surly Long Haul Trucker. Fellow blogger and cyclist Mike B. owns a Surly LHT in my favorite color, truckaccino. 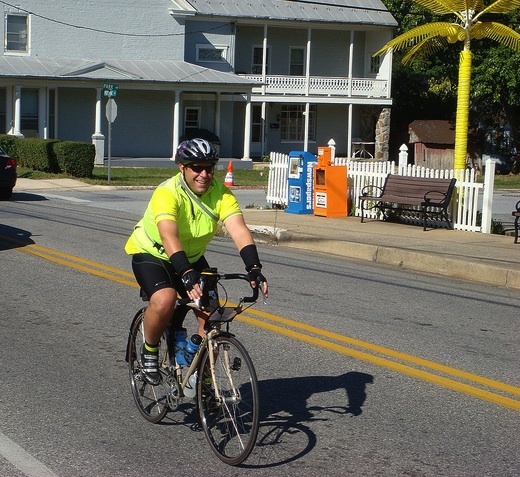 Mike is also a member of the Severna Park Peloton in (guess?) 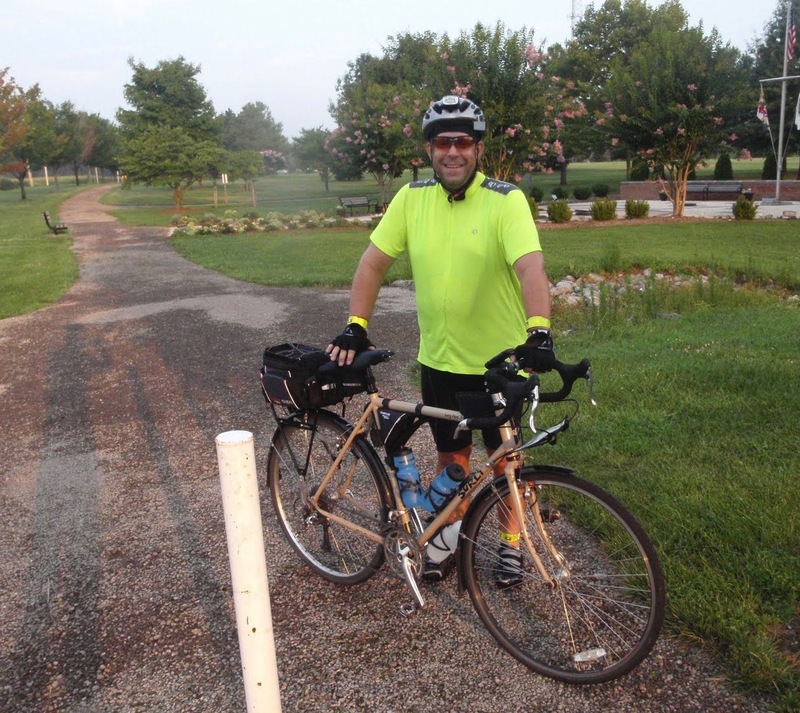 Severna Park, Maryland, and has ridden his Surly for both commuting and brevets. Read on to find out what he had to say about his bike. Surly Long Haul Trucker 54 cm. I commute to work between Severna Park, Maryland, and the BWI Airport in Linthicum, Maryland. I also ride a lot of weekend miles around the greater Annapolis area with the Severna Park Peloton. In 2010 I completed my R-12 and a few other big rides. Along the way I got to pedal through parts of Maryland, Pennsylvania, Virginia, West Virginia, North Carolina, and Delaware. The touring bike geometry is perfect for me. Not pitched quite as far forward as a conventional road bike, it’s quite comfortable for a recovering couch potato like me. It’s capable of carrying my commuting payload (laptop, change of clothes and lunch), accommodates fat tires, it’s simple to maintain with bar-end shifters and cantilever brakes, and it holds up well to my less-than-ideal bike handling skills. Gentlemen always ride with fenders. Not really, just The Surly. 8. What did I forget to ask that you want to tell me about your bike? Like most bikes, it has magic healing powers. It’s cured me of chronic fatigue, morbid obesity and sore joints. I honestly believe it’s adding years to my life. Mike, your bike is awesome! Thanks for the great writeup and I hope to see you on a ride again soon.